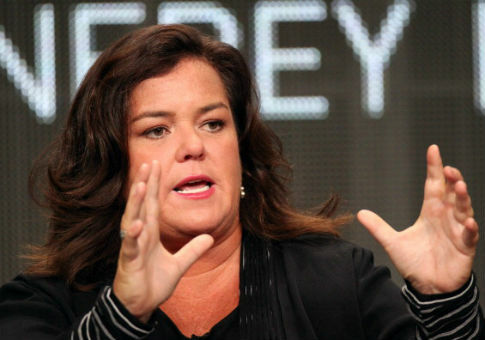 A Manhattan Supreme Court judge on Monday dismissed a defamation case that an ex-producer of ABC's "The View" brought against Rosie O'Donnell, a former co-host of the show. Judge Shlomo Hagler tossed the case filed by Jennifer Shepard-Brookman in 2015, Page Six reported. Brookman accused O'Donnell of being a control freak who falsely accused her in front of other colleagues of leaking sensitive information about "The View" to the media. But after two years, Hagler dismissed the case, in part because "the pleadings are inadequate to show that defendant's statements [were] made with ‘[a] high degree of awareness of their probable falsity.'" The lawsuit stemmed from an editorial meeting in 2015 during which the two women discussed sensitive leaks to the media. Brookman said the leaks were "out of control this year." "You don't think the leak is here?" O'Donnell responded, according to the Hollywood Reporter. "Hmm—that's interesting. Then I would like to know how Radar Online managed to write an article that had word-for-word the conversation about the Beverly Johnson interview that happened on a telephone call including three other people and me." "Are you saying that one of us is the leak?" Brookman asked. Later, another staffer approached O'Donnell to say that he was not the source of the leaks. "I know it wasn't you," O'Donnell said. "I know it was Jennifer." Brookman, who was later suspended and then fired, sued O'Donnell for slander by accusing her of being the source of media leaks. Hagler addressed the editorial meeting in his decision, writing, "Here, the use of the wor[d] ‘maybe' makes it clear that any reasonable listener would regard defendant's statement as non-factual. At most, [O'Donnell's] statement constitutes rhetorical hyperbole which cannot form the basis of a claim for defamation." A representative for O'Donnell told Page Six after Monday's court decision that "Ms. O'Donnell is gratified that the court, in dismissing Jennifer Brookman's defamation complaint against her in its entirety, recognized that Ms. Brookman's claim was without merit." Brookman's attorney, Brian Kennedy, said that his client respects the court's opinion. "My client filed this case on principle because she didn't think Ms. O'Donnell should be able to get away with the kinds of false accusations against her," Kennedy told Page Six. "We respect the court's opinion … Ms. O'Donnell knows what she said." This entry was posted in Culture and tagged Lawsuit, Rosie O'Donnell. Bookmark the permalink.